The #1 website for lyrics to the greatest rap battles on the net. To view the lyrics and support the website, click on the link below. After 5 seconds you may click “Skip Ad” at the right upper corner to continue to the lyrics. See any errors? Leave a comment below. 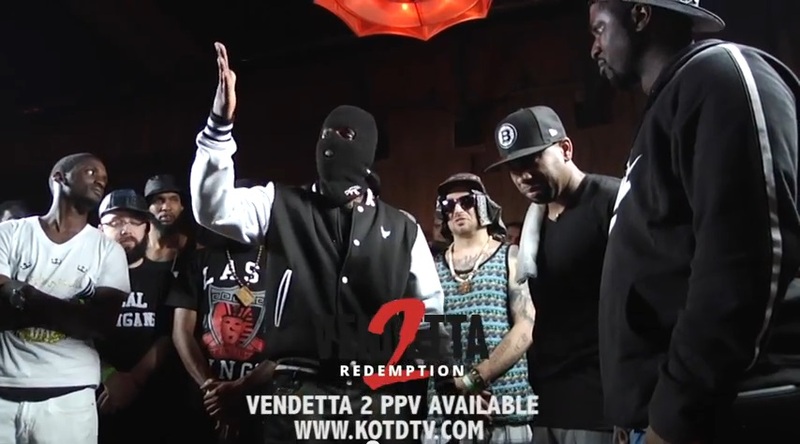 This entry was posted in Chilla Jones, Daylyt, King Of The Dot and tagged Battle Rap Lyrics, Chilla Jones, Chilla Jones vs Daylyt Lyrics, Daylyt, Daylyt vs Chilla Jones Lyrics, king of the dot, Rap Battle Lyrics, Vendetta 2 Redemption. Bookmark the permalink. Man why don’t you put up new battles have you closed the site? Just haven’t had the time like before. I plan on updating it eventually. But I can’t promise anything for now. There are a lot of great battles recently man like b magic vs rum nitty and Brizz vs young x you gotta do something with those battles.